Hi, we add another 2.8 inch screen version C at March 27th 2019. It is more convenient to use now. What is the purpose of the NEW 2.8 inch display pins VBAT, AUX (with jumper), PWM and left-side pins ? 1.VBAT and AUX are the ADC inputs of the XPT2046 and can be used to measure voltage. 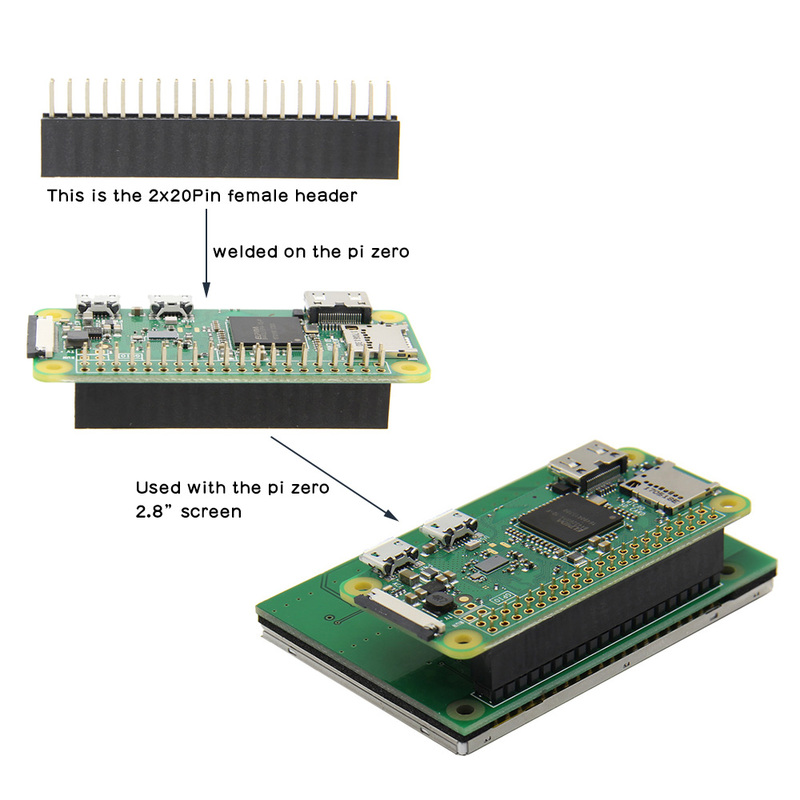 The XPT2046 is a touch control chip. 2.The PWM pin is the control pin of the backlight. The brightness of the PMW signal can be adjusted externally. 3.The left-side pins (on New Version B photo) is no use. Please make sure that your shipping address is 100% correct with full name and a right phone number included, the phone number is very important in the shipping address. We ship items to worldwide with delivery time guarantee. Please understand the unexpected delay during the international shipping. We usually declare a lower value for all orders to avoid the cutoms tax for our customers, but the buyer still need to do customs clearance themselves if it's a requirement by the destination country. If you didn't receive your product or it is significantly different to the description, we guarantee to resend new or refund your payment. But due to the shipping delays of international shipment, we hope to get your understanding and wait for some more time. We provide resend or refund or store coupons for the item you received was substantially different from the item represented on the product detail page. For the item you received was damaged or defective,please take photos of original package with shipping labels, package weight, package items details as proof to send us to find solutions,thank you! It is better to reject the package if you find it obviously broken and ask for compensation from your local post office. We accept any unused item in its original package as return within 7 days of delivery. Buyers must pay for the return shipping fee, provide the tracking number, specific reason for the return. If buyer's reason lead to the return package due to fail delivery in destination country, the buyers need to pay for resend shipping fee and we deduct shipping fee before issue refund. We will refund to buyer after we receive the return packages in its original condition package with no items missing. Or buyers could choose to have a replacement. We accept to refund or resend new for our customers as product quality problem. But for the product value above $30, buyer must return the product to get a refund, the return shipping cost should be negotitated between the buyer and seller as this is a international shipping. Geekworm products on the website all support a wholesale price if you need large quantities. You can send us your enquiry by email: sp@geekworm.com about the item you need, item quantities, destination country of shipment. Then we will send you our lowest price according to item quantities, and the shipping cost also will be calculated according to the quantities you need. Support dropshipping orders from all over the world.Please leave a note if you make a dropshipping order. We will not put anything related with our website into the parcel, please don't worry. ©2010-2019 Geekworm.com. All rights reserved.